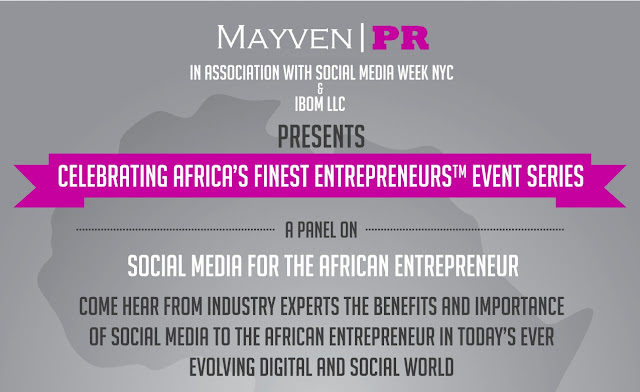 As part of the line up of events for this year’s social media week, Mayven PR in association with Social Media Week New York (SMWNYC), and IBOM LLC will be hosting a panel and networking session on social media for African entrepreneurs in New York City. Currently in its fifth year, Social Media Week is a week-long worldwide event that explores the social, cultural and economic impact of social media in our ever changing and evolving world. Other cities participating in this leg of the event include Paris, Miami, Tokyo, Hamburg, Singapore, Milan, Copenhagen, Washington D.C, and Lagos. This is the first time, that an African city will be a part of this innovative, global platform and community that has come to be recognized for collaboration, learning and sharing of ideas and information. 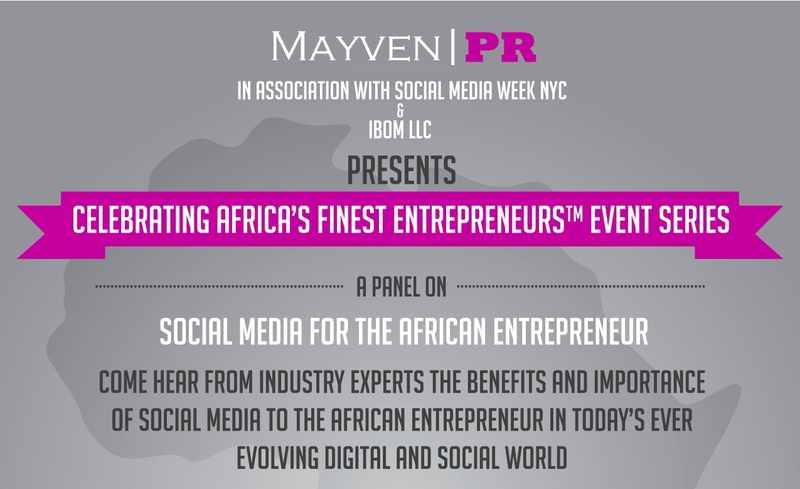 With Lagos pioneering Social Media Week on the African continent, Mayven PR is organizing a panel and networking session titled ‘Social Media for the African Entrepreneur’ as part of its Celebrating Africa’s Finest Entrepreneurs Event Series. This event is an opportunity for African entrepreneurs (Afropreneurs), and professionals alike to converse, share, and learn ways to better engage and maximize the potential that exists within the world of social media. Speaking on the panel is Uduak Oduok Esq. Fashion/Entertainment lawyer, and CEO of Ladybrille, Zandile Blay, Style & Culture Columnist at Huffington Post, and finally Janel Martinez, a columnist at Black Enterprise. All three panelists are well known and respected professionals and industry experts from the world of fashion, law and entertainment who have used social media in building their brands, sharing valuable content, and engaging their following; and continue to do so using multiple social media platforms. The event is on Friday, Feb 22, and kicks off at 5PM prompt at the conference room of StayBridge Suites located at 340 W 40th street, one block from The Port Authority station. Networking mixer with cocktails, hors d’oeuvres and good music follows right after. 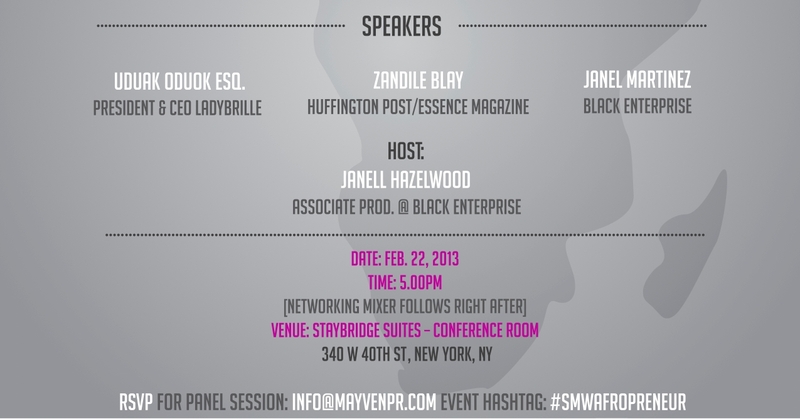 Admission is free, but attendees must RSVP by registering via the event page on the Social Media Week NYC site. The session will also be hosted live via Google Hangout allowing everyone and anyone to join in.